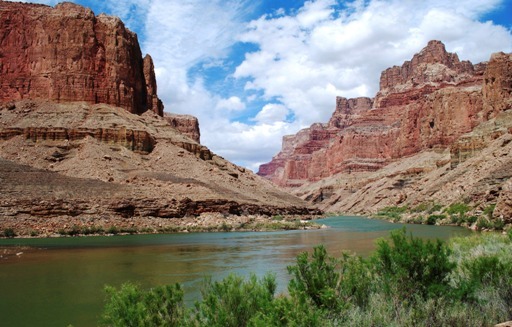 DENVER (CN) — A Denver attorney representing the Colorado River Ecosystem in a bid for “personhood” is facing possible sanctions for refusing to drop the case. Jason Flores-Williams, a criminal defense attorney, gained national attention in 2016 for a class-action lawsuit against Denver challenging its sweeps of homeless camps. In September this year, Flores-Williams sued Colorado on behalf of the environmental group Deep Green Resistance, asking that the Colorado River ecosystem be granted personhood in the same way a ship, an ecclesiastic corporation or a commercial corporation have it for purposes of constitutional protection and enforcement. An assistant attorney general warned Flores-Williams in a Nov. 16 letter that if he did not voluntarily request dismissal with prejudice, he could face sanctions under Rule 11 of the Federal Rules of Civil Procedure, for knowingly presenting false or unwarranted claims to the court. Flores-Williams’ 4-page letter chides Steinbrecher for his threat of sanctions. “The Attorney General’s mandate is to protect and serve the rights of the people of this State, of which the undersigned is an engaged citizen, not to use those vested powers to intimidate and forcibly chill those with whom it does not agree,” Flores-Williams wrote. The next step, apparently, lies with the Attorney General’s Office.